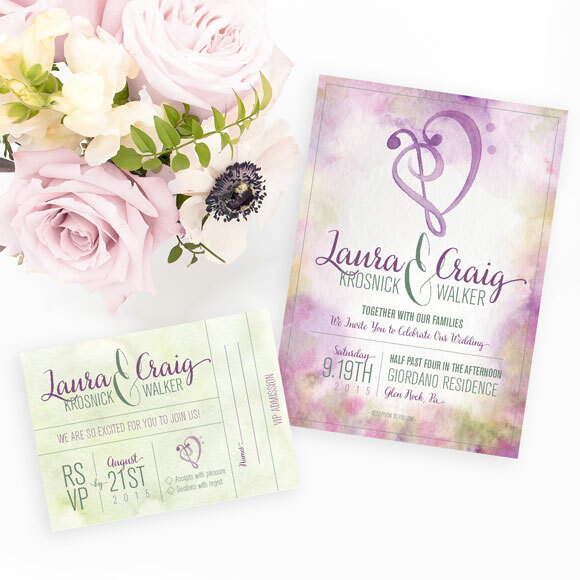 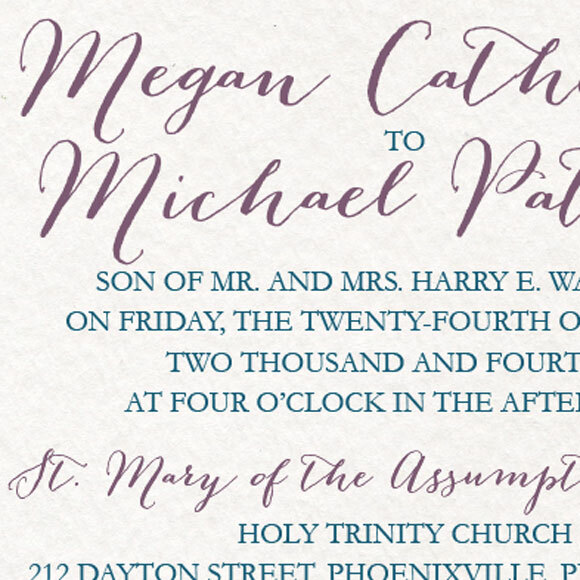 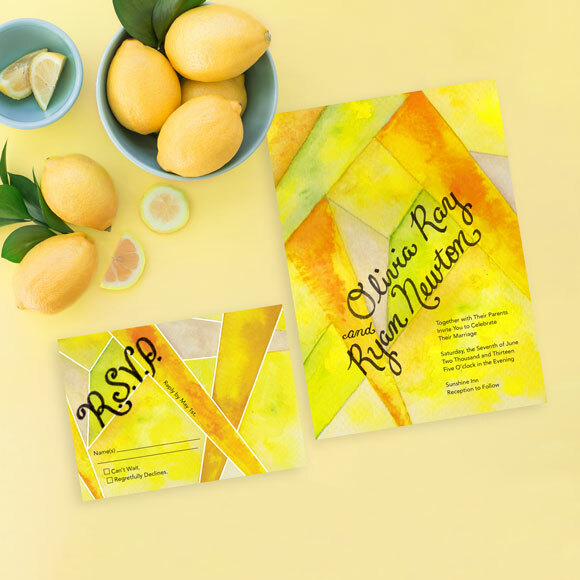 This ethereal watercolor design pairs wonderfully with a wedding that is keeping the look clean, natural and subtle. 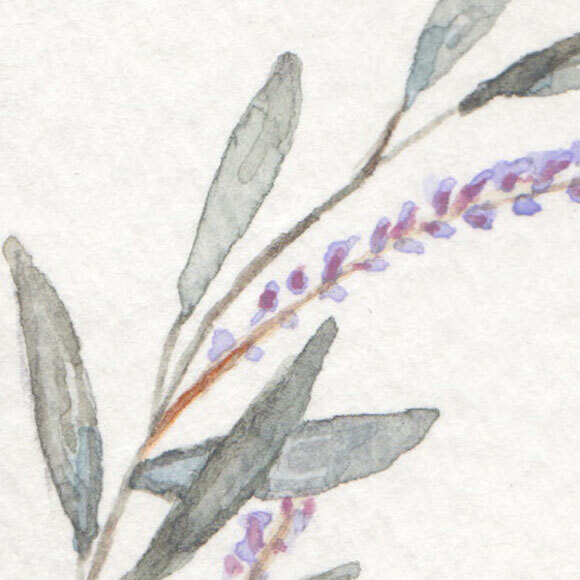 Lavender exudes a state of calm and self reflection that are beautiful qualities to have flowing through your wedding. 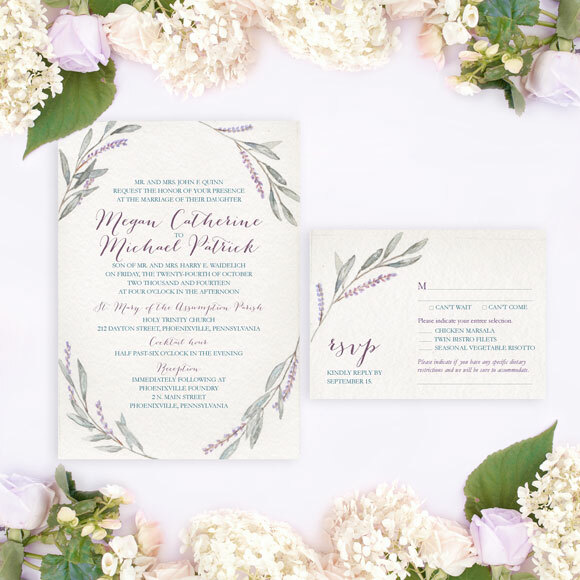 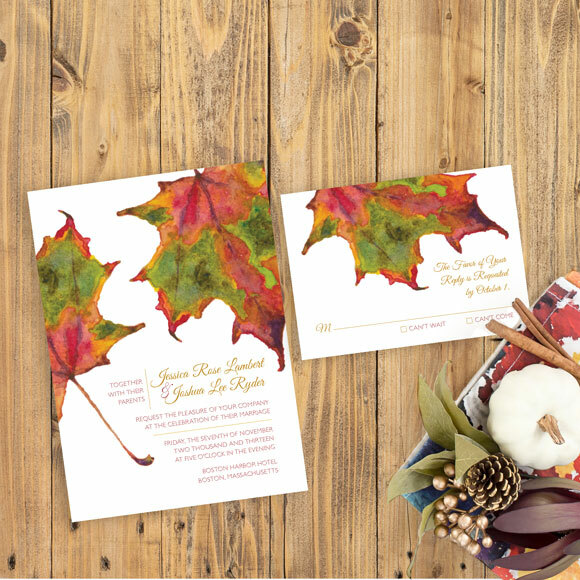 This invitation works for a wedding happening in any season, but particularly in the spring and summer, when the lavender plant is vibrant and full.